Getting Broadband on A Boat - Yes it Is Possible! Most of us, at some point or another, have got broadband for our homes, be it mobile broadband or fixed line broadband. We understand a bit about fiber optic broadband and ADSL and we know our options. But when it comes to getting broadband for a different situation, such as a garage, a stable, an outbuilding office, or a boat, it can really be difficult. Most of the situations can be resolved simply by running a cable from a home broadband router to the outbuilding or other outside location. However, when it comes to a boat, we are not in a fixed position and we cannot run cables. Some docks do provide the option of wireless broadband access that we can use when we arrive at port. However, what about if we want to get online when we are traveling across the open seas? In this case, the only solution is satellite broadband. Satellite broadband certainly isn’t the cheapest broadband in the market. When you get it for your home, you tend to have to fork out between £300 and £700 for installation and hardware. Normally, with £300, you’ll probably have to do the installation yourself and will only receive the hardware by delivery. As well as this cost, you’ll probably have £25+ per month to get any sort of data allowance. It really is not for the faint-hearted. But then if you got a boat, you probably aren’t faint-hearted, and probably have a bit of money to splash around, don’t you? So let’s have a look at how you get satellite broadband for your boat. It is important to consider the level of provider you require for the size of your boat. If you have a large craft, and you are sharing a lot of broadband amongst multiple users then you will probably need to get a very expensive service. However, if yours is a smaller vessel, then providers such as AMSTAT provide broadband to boats around the United States of America. All you actually need is electricity and a clear view of the southern sky. There are European services too so jump on Google and find the deals. Boat broadband solutions tend to cost up towards of £100 per month and also have data costs. The more budget you have, the greater the economies of scale, and the lower the costs you are likely to receive for the data. If you want to network your ship, you’ll probably have to charge your residents or consumers a fair amount for the privilege of getting online. If you’re a smaller vessel, you may want to reconsider getting broadband on your boat and think about using broadband when you actually get into port. Wi-Fi hotspots, mobile broadband, and other solutions can be usable when you get close to land, as of course you just need to be within reach of the mast or access points. If you really do need broadband, then satellite broadband is an option, but be careful on the data that you consume as it is extremely expensive. Can You Use Any Satellite Service On Your Boat? The simplest answer to this is no. Satellite services tend to be designed to be used in a static position and therefore you will need a specialist boat-based satellite in order to achieve the functionality. Of course the satellite needs to be pointed, in these situations, at the satellite that it is being used of. Your boat based system will have to have the capacity to search for the correct satellites to connect to, and will change satellite as the boat moves to different parts of the world and no longer has line of sight to the previous satellite; all pretty impressive and expensive technology. If you have ever looked into a satellite phone you will know how expensive it can be. If you’re traveling around the UK on a boat, then you may want to consider using your smart phone as your mobile broadband service. Even if you need to get online on your tablet or a laptop, you can turn your phone into a hotspot in a few simple steps, or even tether it to the connecting device using a micro-USB to USB cable. Setting up a wireless hotspot involves going to your Settings > Wireless Settings and normally just clicking a checkbox to broadcast your wireless broadband. Make sure that you set up a secure connection so that other people don’t jump on to your device. Although, if you are out on the water, there’s probably less chance of that than if you are sat in an urban city centre. To connect up to your phone, go to Manage Connections on your device or Air Port on an Apple device, and find the connection name, click the network, add your password, and you should be online. Of course, you will need service coverage to be able to do this. You could alternatively opt for a mobile broadband dongle or Mi-Fi device. But many of us have pretty big smart phone contracts and so don’t really need to go for a mobile broadband service just to check our email and do basic email activities when we come into port, or are close to land. Think carefully about the options and how much you really want to be online while at sea. 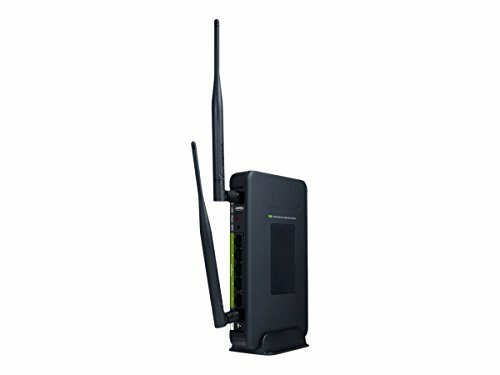 A wifi signal booster is a great way to increase your internet effectiveness in any location!